I can not take credit for this easy super delicious thin and crunchy crust. I found it HERE on a website called Simple & Merry! I love pizza and have spent the past few years trying to find a delicious gluten- free and grain-free crust. I have tried them all from zucchini to cauliflower to almond flour and this one hits the spot! 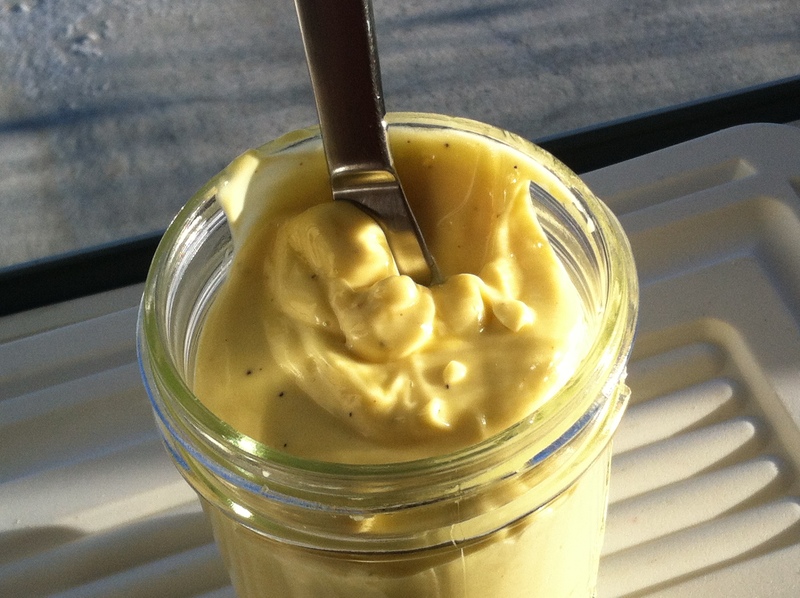 It is quick, easy and requires 4 simple ingredients. The runner up crust, which is a bit more involved, but includes the yeasty flavor of a real pizza crust is at the Zen Belly Blog HERE. Check it out! 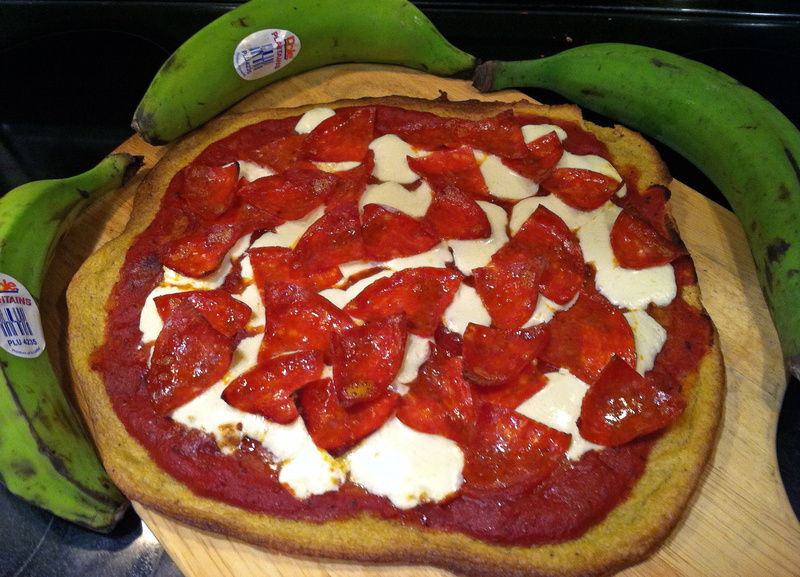 I just made this plantain crust for a very skeptical non gluten-free friend and she was very pleased with the results, so I dare you to try it! I will give you the Simple & Merry recipe with my adapted version of cooking instructions! Check out her recipe as well! Preheat your oven to 450 degrees. To make a real crunchy thin crust use a pizza stone set on the bottom rack of your oven. Place the stone in the oven as it is preheating. If you don’t have a stone still bake your crust on the bottom rack on a cookie sheet. Place all ingredients in a food processor or a high powered blender. Start with 1/4 cup of water and add more in small increments until the plantains blend into a smooth paste. On a cookie sheet or pizza peel add a piece of parchment paper and oil it with some olive oil. Spread the plantain paste thinly on the oiled parchment to your desired size. When the oven is preheated slide the parchment off of the cookie sheet or peel onto the pizza stone and prebake the crust until the edges start to brown. Take the prebaked crust out and add what ever toppings your little heart desires. Now slide the pizza crust off the parchment directly onto the stone and bake just long enough for your cheese to melt and the toppings to warm up, watching so the crust does not burn. Slide the pizza off the stone onto your cookie sheet or peel and let cool enough to devour. This crust tastes best warm and fresh from the oven, but isn’t so bad reheated in a toaster oven the next day. * It is important that you use green plantains because they are have more starch and less sweetness than a ripened or ripening plantain.